December 14, 2012. My house was dimly lit and quiet as I was waiting for my mom and grandmother to return home. We were heading to a basketball game at Fremd to watch my cousin play. I still had homework to do although it wasn’t a lot; I was only in fifth grade. I had always longed to see Fremd on the inside, and now it was finally my chance. I was so optimistic about my future, and high school was an integral part of it. I could hear the car door shut, and I jumped up from the couch and raced to put my Ugg boots on. The alarm beeped to signal the door opening. My mother and grandma walked in silently rather than saying hello; something was wrong. “Have you heard the news?” my mother inquired. I stared at the wall, only seeing my classmates and teachers shot before my eyes. I didn’t feel anything for a second and then felt everything all at once. Tears exploded from my eyes and anger burned in my face. How could someone do this? I felt as if the killer hadn’t gotten the punishment he deserved, even though he was dead. He killed himself on his own terms rather than being jailed. I was outraged and unexpectedly embarrassed — embarrassed to be living in the country where this was able to happen. I didn’t want to speak. I swore to myself I wouldn’t speak for the rest of the night. Slowly getting up from the couch, I put my coat on. Its familiar smell comforted me, but it wasn’t enough to break my vow. In the car I said nothing. I only nodded and shook my head. Maybe a grunt here or there but no words. “Do you want some concessions?” my mom asked. I shook my head no. I was irritated and couldn’t get the image of dead kindergarteners on their classroom floor out of my mind. I don’t remember a single detail about the game and didn’t look around and try to memorize the pattern of the gym for my future here. Begrudgingly I got up from the bleachers and made my way towards the exit. My mom followed closely. She stopped me in the hallway and looked at me, yet I couldn’t meet her eyes. “What is wrong with you?” She said, exasperated. I shrugged. I thought for about a minute. I thought about whether it was worth it to exchange the pride of silence for much needed help and comfort. “But that would never happen here.” She spoke softly. I returned to my seat, but I couldn’t watch the game. I was too busy worrying for myself. Then it hit me. I was being extremely selfish. Families were mourning over their children, and I was worried about an unlikely threat. Despite the scene in the hallway, the night continued as normal, and I never really thought about it or mentioned it until I was older and the political issue of gun restrictions came up. I couldn’t bear the thought of more mass shootings, and I’m now for gun restrictions, and I always make sure to advocate for required IDs and gun checks just so we all don’t have to go through another night like that ever again. 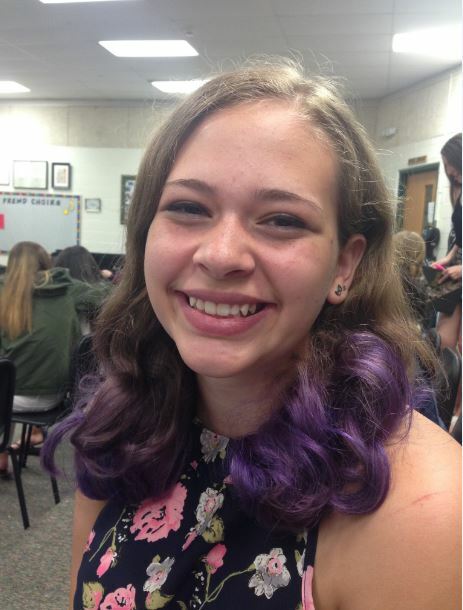 Brooke Toriani is a fifteen-year-old freshman at William Fremd High School. She participates on the swim team and set crew. 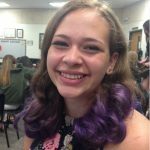 Her favorite book is Bone Gap, and she plans to be a forensic scientist in the future.